Hwy 1 was remarkably constructed into existence and designated a state highway in 1939, tourists began to explore this undiscovered land which experienced a boom with the opening of Heart Castle in 1958 in San Simeon. In the early to mid-twentieth century the land began to inspire the prolific minds of artists and writers including Jack Kerouac, Henry Miller, Hunter S. Thompson, and poet Robinson Jeffers. The peaceful solitude and tranquility also drew the spiritual and religious including the Catholic Monastery, New Camaldoli Hermitage, the Tassajara Zen Mountain Center, and the Esalen Institute. The ability of the area to inspire self -reflection and contemplation and an appreciation for nature is just as evident today as when first discovered. 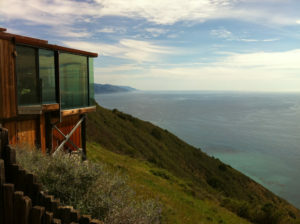 Big Sur Coast real estate offers privacy, abundant land, and stunning views from sea to mountains. Whether your Big Sur home is nestled in the woods under the canopies of the redwoods or ocean front on a hilltop perch, you live in an exceptionally unique environment. 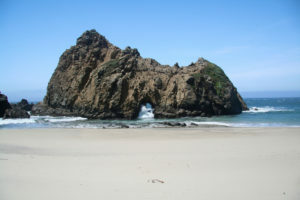 From your private home you can watch nature dramatically change from rolling fog that settles softly onto the ragged rocks to vibrant sunsets reflective on the smooth sand at Pfeiffer Beach. Your location will provide a sanctuary while still remaining in close proximity to the everyday conveniences of Carmel. Click here for all available Carmel real estate. Each home in Big Sur is truly one of a kind. You will be amazed by the unique architecture, design, and presence of these special homes. Even those with modern appeal and bold lines seem to exist in perfect harmony with their dramatic surroundings. Currently there are 16 homes on the market along the Big Sur Coast as of July 2016. The most expensive home is listed for 28.8 million and features breathtaking Ocean views, 5 bedrooms, 5.5 bathrooms, 7,030 sqft of living space and situated on 95.73 acres. The least expensive home on the market is listed for 1.349 million; a Big Sur retreat with Ocean views, 2 bedrooms, 1 bathroom, 684 sqft of living space and situated on 10 acres. Click here to preview all Big Sur Coast homes for sale. Only 5 homes sold in 2015 along the Big Sur coast. The most expensive home sold for 5.5 million; situated on 1.59 coastline acres and featured 4 bedrooms, 5.5 bathrooms and 9,849 SqFt of living space. The lease expensive home sold for 600K, this Big Sur cabin features expansive Garrapata Canyon views, 2 bedrooms, 2 bathrooms, 1,100 SqFt of living space on 1.73 acres. There were 10 homes that sold in 2014 in this area. The most expensive sold for 5.25 million, located almost halfway between the town of Big Sur and Carmel, situated directly on the coast on 2+ acres with 4 bedrooms, 3.5 bathrooms and 3,658 SqFt of living space. The least expensive sold for 355K, with a 2 bedroom, 1 bathroom, 2-story cabin, situated on almost 3 acres in the Palo Colorado Canyon area. In 2013, eight homes sold in the area, the most expensive sold for 3.75 million and offered 3,242 SqFt of living space on a 217,800 SqFt lot. The least expensive sold for 206K and was a 437 SqFt cabin located on a 87,120 SqFt lot. 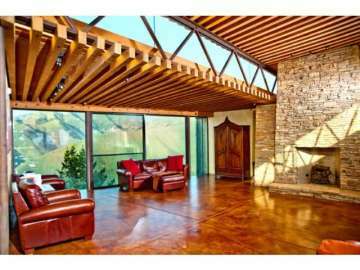 In 2012 the most expensive home sold on the Big Sur Coast sold for 2.75 million. This one bedroom 2 bath home with 1,704 SqFt of living space was located on roughly 6 acres of land. The home had stunning white water views and a caretaker’s cottage. The least expensive home sold in 2012 sold for 480,200 and was a 3 bedroom 3 bath home with 2,000 SqFt of living space on 5 acres. For a detailed analysis of Big Sur real estate sales, check out our monthly Community Market Reports. To live in Big Sur is to live in step with nature. It is virtually impossible not to benefit from the fresh air, ocean vistas and spiritual quality of the land around you. You will enjoy hiking and exploring in the area’s numerous state parks,dining at the luxury hotels nearby including the iconic Post Ranch Inn and photographing the endless postcard images through your camera lens. Perhaps you will train to run the famous Big Sur Marathon or take a painting class and rediscover your talents. You will also have the proximity to enjoy all the exciting events on the Monterey Peninsula including the AT&T Pro Am Pebble Beach golf tournament and the Concours d’Elegance, showcasing fine rare automobiles from around the world. A reasonable drive north will take you to Carmel-by-the-Sea with its fairy tale style cottages and bustling shopping and dining district. Big Sur offers an unrivaled experience and perspective on living that will be yours to cherish when you find your perfect home along the Big Sur Coast.